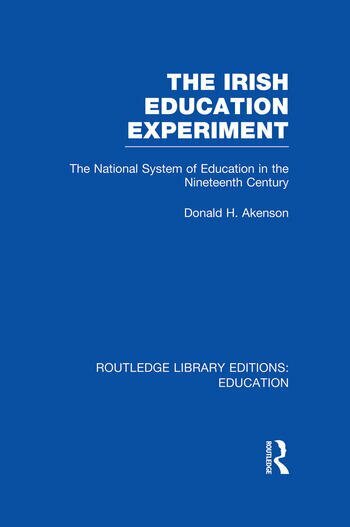 This volume focuses on the creation, structure and evolution of the Irish national system of education. It illustrates how the system was shaped by the religious, social and political realities of nineteenth century Ireland and discusses the effects that the system had upon the Irish nation: namely that it was the chief means by which the country was transformed from one in which illiteracy predominated to one in which most people, even the poorest, could read and write. 1. The Irish National System as an Educational Surprise. 2. The Eighteenth-Century Background. 3. An Administrative Genealogy. 4. Some Bureaucratic Archaeology, 1831-49. 5 Spinning the Eudcational Top, 1831-49. 6. The Politics of the Curriculum, 1831-54. 7. Over the Hill and Into the Woods, 1850-70. 8. Twenty Hearts Beating as None, 1871-1900. 9. Conclusion. Appendix. Bibliography. Index.